Who: American singer, songwriter, rapper, record producer, actress, and model Janelle Monáe is the real deal, people. 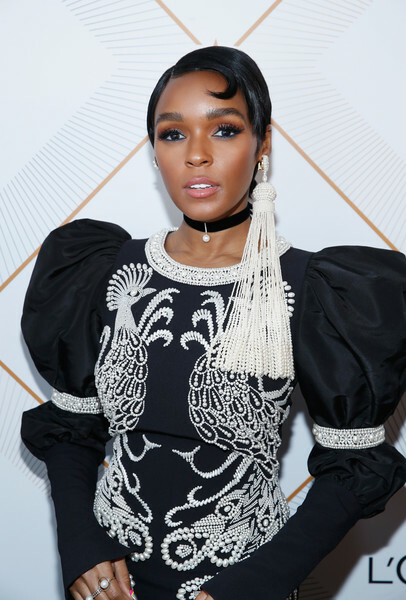 Why she's fearless: Mysterious, striking, talented, and powerful are all words one could use to describe the incredible Janelle Monáe, especially when it comes to her music. Her discography, including newest album Dirty Computer, is an entire universe unto its own, and one she's spent years crafting. It explores the idea of "otherness" (Janelle is a self-proclaimed "android", which she states as representing the "new other") and takes the listener on a journey through the singer's world of science fiction, technology, and her own experience as a queer black woman in the United States. If you ask us, Dirty Computer is nothing short of a modern, tongue-in-cheek masterpiece — and it won't fail to get you dancing!